» Tiagra build back in stock, for a limited time only! 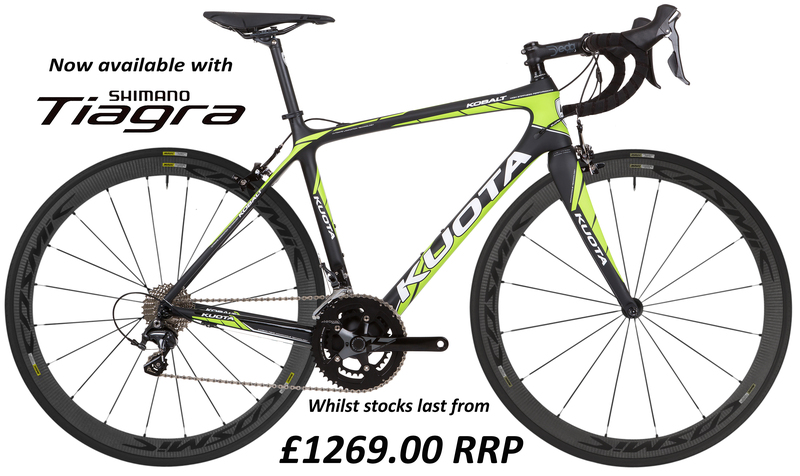 Now available, for a limited time only, we are spec-ing the new Shimano Tiagra 4700 with our best-selling endurance frame, the Kobalt. Normal wheel upgrades apply. Available in green or red.